Nothing neutralizes stomach acid faster or more effectively. 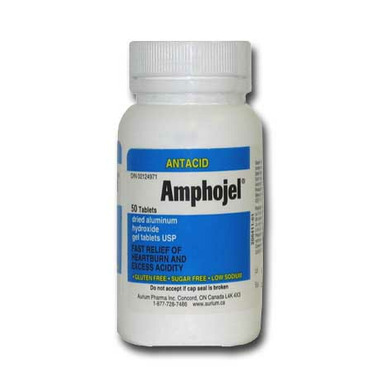 Amphojel provides fast, long-lasting relief from heartburn, acid indigestion, esophagitis, gastritis, and peptic ulcer. Directions: Adult dosage: Chew 1 tablet. Repeat 5 or 6 times daily between meals and at bedtime. Caution: Avoid mixed use with tetracycline or iron preparations.